Hi! 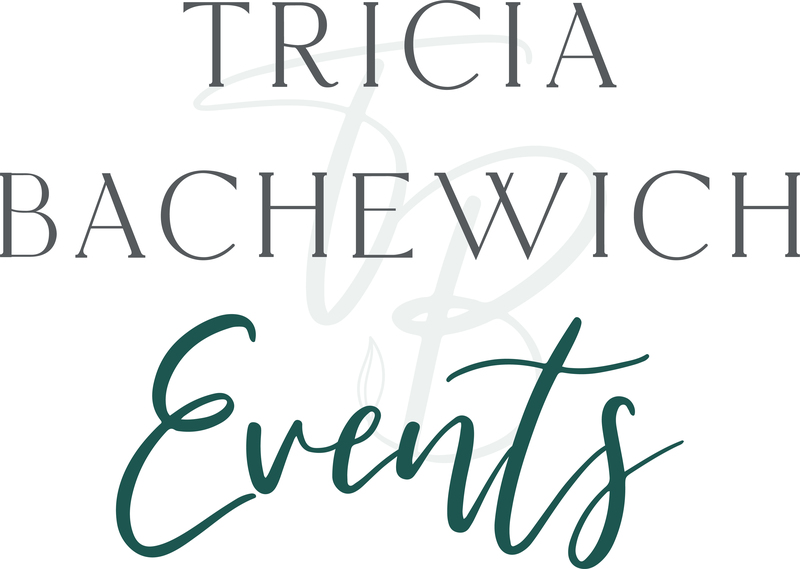 I am Tricia, the lead planner and owner of Tricia Bachewich Events. I started working in the wedding industry in 2001 as a banquet server. Yes, I realize that ages me a bit! I absolutely love weddings, following trends, listening to ceremonies and speeches, and seeing the brides on their wedding day. Talk about getting the warm fuzzies! In 2007 after graduating university with a Counselling Degree, I set off to Vancouver to work with troubled youth and victims of substance abuse. A few months into living in Vancouver, I accepted a service supervisor position at the Italian Cultural Center. I spent 2 years coordinating weddings for up to 700 guests and once again felt that I was filling that void that was missing when I wasn't working weddings. In 2009 we decided it was time to come back home, get married and start a family. I started working as the banquet manager at St. Boniface Golf Club and naturally, I held our wedding reception at golf course. In 2016 I got my wedding planning certification through WPICC and became a licensed marriage commissioner. It doesn't seem to matter what I do, or where my life leads me, I am always brought back to the wedding industry. People always ask me, aren't you bored? You have been working weddings for almost 17 years! The answer is, NO! I absolutely love our clients, I love seeing the weddings come together. I love being a part of someone's special day. I love that every wedding is totally different. I also love that every single bride has been secretly planning and envisioning this very day since she could play walk. I feel honored to be part of something so special. When I am not creating a timeline, coordinating a rehearsal or bustling a dress at a wedding, you can find me sipping on Starbucks, gardening or chasing around my toddler twins. I have been married for almost a decade to my husband who patiently creates every crazy project I come up with. Now that you know all about my life story and how I became a wedding planner and a marriage commissioner, I can't wait to hear about your love story!